Augmentative or alternative communication (AAC) refers to all forms of communication outside of oral speech. It may range from facial expressions and gestures to forms of assistive technology. 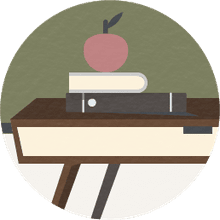 In the field of special education, AAC comprises all communication methods for teaching students with severe language or speech disabilities. Broadly, AAC is used by people from all walks of life at different times. A baby uses non-spoken communication to express herself, as might parents coming home to sleeping children after a night out. In particular, AAC is the method of communication used by individuals with severe speech and language disabilities, who may suffer from cerebral palsy, autism, ALS, or who may be recovering from a stroke. These individuals are unable to use verbal speech or whose speech is extremely difficult to understand (a famous example: theoretical physicist and ALS sufferer Stephen Hawking). 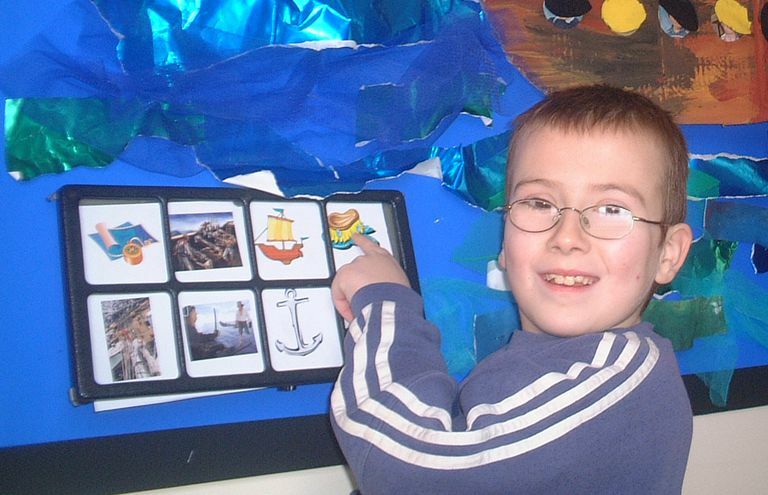 Gestures, communications boards, pictures, symbols, and drawings are common AAC tools. They may be low-tech (a simple laminated page of pictures) or sophisticated (a digitized speech output device). They are divided into two groups: aided communication systems and unaided systems. Unaided communications are delivered by the individual's body, without speech. This is akin to the baby above or the gesturing parents. Individuals who are compromised in their ability to gesture, and those for whom communication needs are richer and more subtle, will rely on aided communication systems. Communications boards and pictures use symbols to help relay the individual's needs. For example, a picture of a person eating would be used to convey hunger. Depending on the mental acuity of the individual, communications boards and picture books may range from very simple communications—"yes," "no," "more"—to very sophisticated compendia of very particular desires. Individuals with physical impairments in addition to communications challenges may be unable to point with their hands to a board or book. For them, a head pointer may be worn to facilitate the use of a communication board. All in all, the tools for AAC are many and varied and are personalized to meet the needs of the individual. When devising an AAC system for a student, there are three aspects to consider. The individual will need a method for representing the communications. This is the book or board of drawings, symbols, or written words. There must then be a way for the individual to select the desired symbol: either through a pointer, a scanner, or a computer cursor. Finally, the message has to be transmitted to caregivers and others around the individual. If the student is unable to share her communications board or book directly with the teacher, then there must be an auditory output—for example, a digitized or synthesized speech system. 1. What are the individual's cognitive abilities? 2. What are the individual's physical abilities? 3. What is the most important vocabulary relevant to the individual? 4. Consider the individual's motivation to use AAC and select the AAC system that will match. AAC organizations such as the American Speech-Language-Hearing Association (ASHA) and the AAC Institute may offer further resources for selecting and implementing AAC systems.